Anyone keen to have a go at inline hockey should come to junior development, perfect for all ages. The classes are designed for beginners or those looking to improve their inline hockey fundamentals. 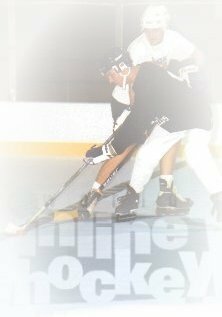 Skating, Passing, Shooting, Speed, Basic Playmaking, Defence, Forward positioning, Scoring and Hockey Stance are the basics that are covered at al the classes. If you are looking to improve or know someone that you would like to introduce to the sport come to one of the Puckhandlers hockey clinics. In a nutshell if you are serious about your hockey and want to continue to improve, basic fundamental training is mandatory. It is one thing to improve through the ranks and become a solid ‘1’s player and it an entirely different thing to move through and become one of Australia’s best. The difference is the basics. You need to try and perfect them in order to allow your game to continue to improve passed a rating of excellence. One thing separates the elite from the excellent, BASICS. And many, many more examples through the age groups. See you at a Puckhandlers.com clinic soon!